It's around this time of year that the chill of winter and holiday fervor leads many to flee to their warmer, winter getaways. With so many popular destinations from the Caribbean to South America and Australia oversold and overpriced for the holidays, these glamorous getaways beckon with deserted beaches and impeccable styling that can make even the most noteworthy destinations feel a bit common. In the Maldives you’ll find no shortage of luxurious private islands like Cheval Blanc Randheli and Soneva Fushi. This month brings the first ever Four Seasons Private Island, a five-acre retreat stands in the country's Baa Atoll that offers a 22-person exclusive estate equipped with butlers and private yacht just 20 minutes by speedboat from Four Seasons Resort Maldives. 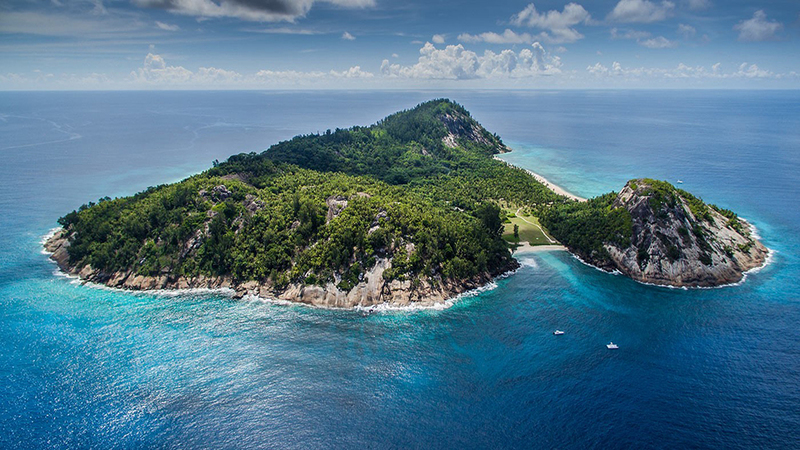 Across the Indian Ocean in the Seychelles, North-Island. packs a glittery punch worthy of Will and Kate, with far more emphasis on conservation and guest exclusivity. North Island was used as a model for Red Bull-founder Dietrich Mateschitz when he created his Laucala Island in Fiji. Touted by Oprah and caffeinated super-models as the world's premier private island, party-minded Laucala mixes impeccable villas and farm-to-table cuisine with endless toys like Scuba-scooters and custom submarine built just for two. Australia's Great Barrier Reef is teaming with polished private islands, providing they haven't been gutted by the latest Cyclone. Bederra Island remains a romantic destination and runner-up to posher Lizard Island that attracts a chicer crowd given its sleeker design and better beaches. In Belize, Leonardo DiCaprio's former private island will soon debut as a 104-acre eco-isle known as Blackadore Caye. Located on the world's second largest barrier reef, the property hopes to become the greenest luxury development ever built mixing renewable energy and world-class luxury resort accommodations. The property continues a trend started by The Brando on French Polynesia and Neckar Island by Sir Richard Branson that remains the top private island destination in the Caribbean. There's no shortage of warm winter luxury for those wishing to find it.